So glad I found you! I loved this post and after reading it have sent my kids out to collect earthworms for our dinner. We have the EH part of MEH in common! Good call on dinner — try them with garlic, you can pretend they’re escargot. So glad I found your blog too! Thanks for coming by and thanks for the comment! I get blogging inspiration from books, magazines, friends and family, eating out, and online cooking groups. I try to always keep my mind open to new ideas. Do you mean that writers want to get a book deal from their blogs, like Julie Powell of Julie and Julia? I’m not daunted by that, but then again getting my blog content published was never my goal. Blogging ensures that I practice writing a few times a week; it helps me stick to a schedule. I also thought having a food blog might help if I’m pitching food-related stories. No family member or friend has yelled at me yet. I hope it stays that way! Great post! I’m glad I’m not the only one who sees an opportunity to quote someone or otherwise feature them on my blog (I do that on the travel blog, not so much the writing blog). I laughed at the way you winced a little but were undaunted in your quest to get the quote. Yes, I’m intimidated by the number of writers blogging. (No one had even heard of blogs or Twitter back when my book came out in 2000 and I went online with it.) But then again, I’m daunted by walking in the library and bookstore and seeing the thousands and millions of titles. Makes me feel like a speck in the writing universe. About the photographer saying she’d rather eat earthworms than blog: I was curious about her reason. A friend of mine was the same—“I hate that whole blogging thing!”—but it turned out to be because she didn’t understand (and had no purpose for) blogging at the time. But now she has her own blog and is doing it exactly as you describe: blogging-tweeting-blog commenting-retweeting-answering comments-re-retweeting. So perhaps never say never is the moral of the story. Personally I’d rather blog than eat earthworms. But I get it. I’ve thought about this too. And among all my friends here in San Diego, I only know two other bloggers. I’m sure there are more. But most of my blogging buddies (like you) are people I’ve only gotten to know through blogging. Of course, I would love to get “discovered”through my blog. But that’s not why I do it and not why I write either. Having this awesome community and doing what I love — that’s what drives me. Jen, Thanks for the comment, and you made a really good point about why you blog–to keep you writing. That is also one of my primary goals, so I suppose that’s something I left out in this piece! But I do have to admit that “building a platform” was part of the reason I started to blog. The other stuff, like meeting really nice writers like you–who knew! Hi Julia! I guess the fact that we are writers automatically makes us more likely to blog! I’d rather work on my novels…that being said blogging has definitely forced me to work on my short form. I often sit down and think, Ugh, what today? Once it’s done, however, my entries usually give me some kind of warm fuzzy. I mix it up, writing about my kids, my writing, women’s issues, fairy tales and history, marriage, books…so I’m probably NOT doing what one should do to attract a specific audience. Oh, well. Not all those who wander the blogosphere are lost. right now my kids are pretty much the only ones I quote on my blog, but they have gotten used to it, being sermon illustrations all of their lives :-). Stephanie, I agree, blogging is great because it gets me to work on shorter pieces and write a variety of styles. It sounds like you write an interesting mix in your blog, and I will definitely check it out! Thanks for visiting my blog! Ado, haha, that sounds a lot like my parents… (great, that’s where I got the line, I just realized, yikes!). 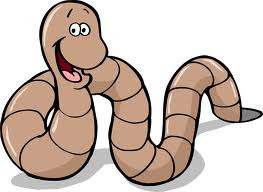 But I’m with you, worms ARE more like spaghetti than escargot. Thanks for the return trip! Hi Kenneth, Thanks for dropping by and for the comment! I started blogging as a way to social network/platform build but also to have my writing out there and read. The greatest thing that has happened is connecting with other writers I never would’ve met otherwise! Nice to meet you! p.s. yeah, I’m sticking with plain hot sauce and spices, hold the worms, too! Oh-so interesting, Julia. I know two other people “in real life” who blog. What you said about being in the cycle of blogging, tweeting, commenting, retweeting totally hit home with me. It is easy to feel like this is how everyone spends their time since it TAKES so much time. I think most other people are watching TV. 😉 At least that’s what I tell myself so I don’t feel like I’m addicted to the computer screen even though I probably am. Nina, Thank goodness I gave up TV so I have time for this NEW addiction, I mean passion (although I have not yet entered the Twitter Trance 🙂 I have to say that the best part is the incredible community of writers (even if the numbers are staggering). It’s great to have a way to connect with such a wonderful, talented bunch! 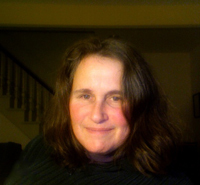 And, I think my summer resolution will be to find one other blogging writer in Maine…. (then I can blog about that!). Catherine, So glad you enjoyed the blog! It was fun to write, too. I’m with you, the friends I’m making is the best part. It’s so great to have a way to find people like you that I never would have known otherwise! It took me a couple of years to jump in as well, so I know exactly what you mean. p.s. I’m still hoping I’ll win the lottery, too! Thanks so much for the visit! You’re right–I can’t think of anyone I know IRL (aside from someone in my writer’s group) who blogs! I guess we can get absorbed into our “bubble” of blogs and Twitter without realizing it. I met some new people this weekend and was surprised to find they weren’t on Twitter. A few of my cousins are on Twitter, and so is my husband, but none of them use it as often as I do. I’m a strange Tweeter/blogger amongt friends! Natalia, That’s a great way to put it our “bubble”! I know the feeling of meeting someone new and being surprised they aren’t on Twitter–then they look at me like: “hmmm, what’s up with this Twitter thing?” So thank goodness for all of you in the bubble with me, who can relate to what I’m talking about! Thanks for the visit and the comment! And the only bloggers I know (in person) are other writers. Period. Melissa, I think you’re right about motivation for beginning (it was mine), but now it really is secondary–getting me writing daily and connections with writers like you–is certainly what keeps me going. That and the fact that I can now blog, make a lasagna and do laundry, all in one day!! So proud of me! Nonetheless, my goal is to meet another real live writer blogger (who I didn’t meet on Twitter) before the summer is over! Thanks for the visit!